PROGRAM - April Chair Cliff Sherwood was today’s program. He has worked for many years with the Tiburcio Vasquez organization, helping them with new sites and planning. They have 20 sites in Alameda County. In 04-05 Tiburcio opened a clinic on Mission in Hayward, and last year opened their newest clinic on E 14th in Ashland area. They even have 2 high school clinics. Cliff had a diagram showin how the funding was done for the new clinic in Ashland. He explained about the need for a special purpose entity, and the way different funds and loans get distributed. They used $35,000,000 in tax credits. However these were not available until October 2015, so loans were needed to start construction so that the clinic could open in October 2015. The biggest challenge was to find a way to fund the solar panels. Cliff had a separate diagram showing how another 3rd party special purpose entity was created to solve the funding problem for solar. CA First PACE (Property Assessment Clean Energy) Program issued bonds, and the solar panels will be purchased from Sunpower, the best solar technology available today. This innovative solution is 22 days from closing. Once the solar panels are installed they are expected to generate 90+% of the electrical needs of the facility in Ashland. 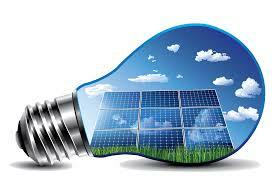 Cliff is proud of this innovative solution to funding solar for this non-profit organization. He said it is a model that will be used by other developers in the future. It even won an award! LESLIE ROTHWELL UPDATE - Follow Leslie’s recovery on CaringBridge.org . . . inspiring to watch her progress! PRESIDENT DR. HEIDI’S CLUB THEME FOR THE YEAR: "LIGHT UP ROTARY WITH A SMILE"
President Dr. Heidi brought down the gavel at Don Jose’s in Castro Valley, and Tommie Gee was asked to lead us in the Pledge of Allegiance. VISITORS – Greg Gayler, a friend of the club who wanted to hear Cliff’s presentation on solar today. SAL TEDESCO MEMORIAL HELLO SONG – Ben Gurule and Dan Willits led us in this song, which is the one song we know how to sing! *REPEAT - WE MADE IT! You can still participate until end of this Rotary year! “30 30 to End Polio.” Please make Checks payable to TRF (The Rotary Foundation) with a note in the memo line that it is for Polio Plus and give to Dwight Perry. Thank you in advance! DOUBLE SUSTAINER PINS PRESENTED TODAY – Dwight Perry gave pins to Dan Willits and Mark Poniatowski. CLUB ATTENDANCE - Be sure to let our Club Secretary Jim Negri whenever you attend any meetings associated with our Club so that they can be properly recorded . . . let’s keep him informed! *HELP SEND STACY VIVI PHAN, SAN LEANDRO HIGH SCHOOL STUDENT AND NEWLY ELECTED DISTRICT 5170 INTERACT GOVERNOR (there are 6000 InterAct members in District 5170!) TO ROTARY INTERNATIONAL CONVENTION IN BRAZIL! See attached flyer for the list of items that you could win! If you wish to purchase tickets, please email Stacy at Stacyviviphan@yahoo.com and you will get your tickets delivered to you! REPEAT - Ceta Dochterman asked for ideas and help to buy and store a trailer for the Boy Scouts. BUY A TOOTH FROM THE REAL TOOTH FAIRY - DR. HEIDI! $5 each and you may win a special prize! Funds go to Rotary Foundation. APRIL 11 - Pancake Putt Putt - Contact Dr. Heidi if you want to volunteer to help on Saturday. People can buy tickets at Knudsen’s Ice Creamery Saturday morning. Pray for sunshine! APRIL 17, 18 and 19 – Only 10 days left to register for the District Conference at Doubletree in San Jose. See attached flyer called “District 5170 Conference Flyer” for all the information you need to sign up and attend! The only cost is to attend one or more of the meal events. Update: a NASA scientist, who is planning the Mars Mission is speaking . . . remember, all forums are free . . . See attached flyer for list of ALL the Forums being offered at no cost! WHAT’S HAPPENING WITHIN CASTRO VALLEY ROTARY AND IN CASTRO VALLEY? For some of the absolute best pictures of our activities, please thank Gary Bosley for his hard work as he has captured many of our events for us. Thanks to John Courtney, Mathilde Schmidt, and Dr Heidi for getting an article in Tri-City Voice, with a photo of Mathilde golfing, and another nice photo of Golfland, and good information about our event.